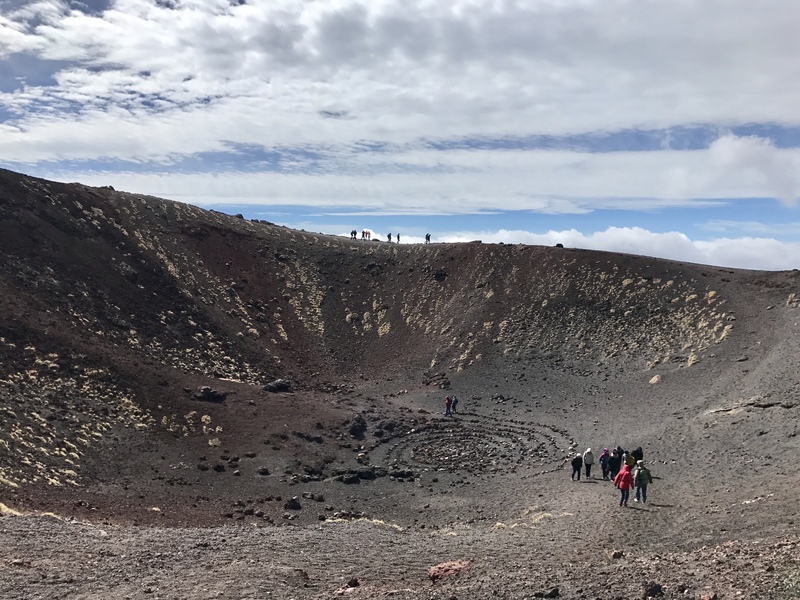 It was exhilarating to visit Mount Etna on the last day of the trip! After a steep climb in the bus, we arrived at the first set of craters. As the wind whipped around us, we explored monumental craters and looked out onto spectacular views of the city below. It was a powerful experience! 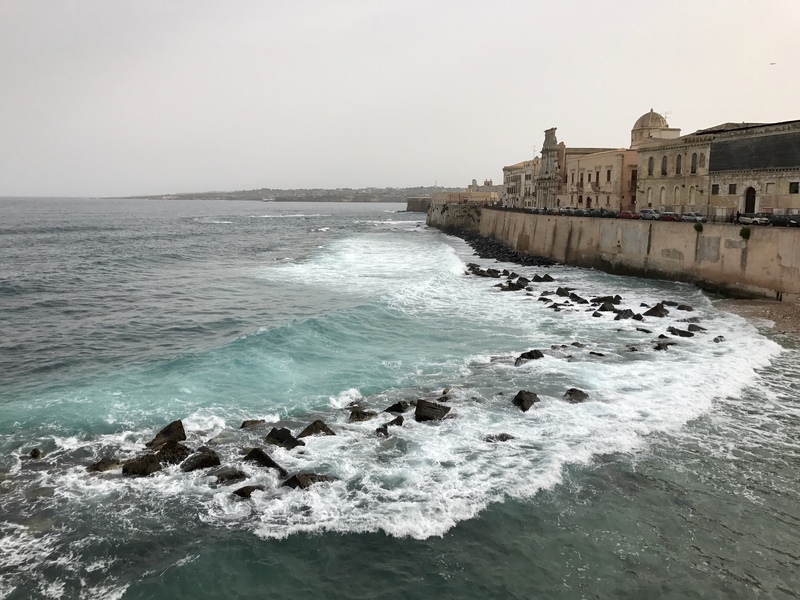 Siracusa was my favorite city we visited! 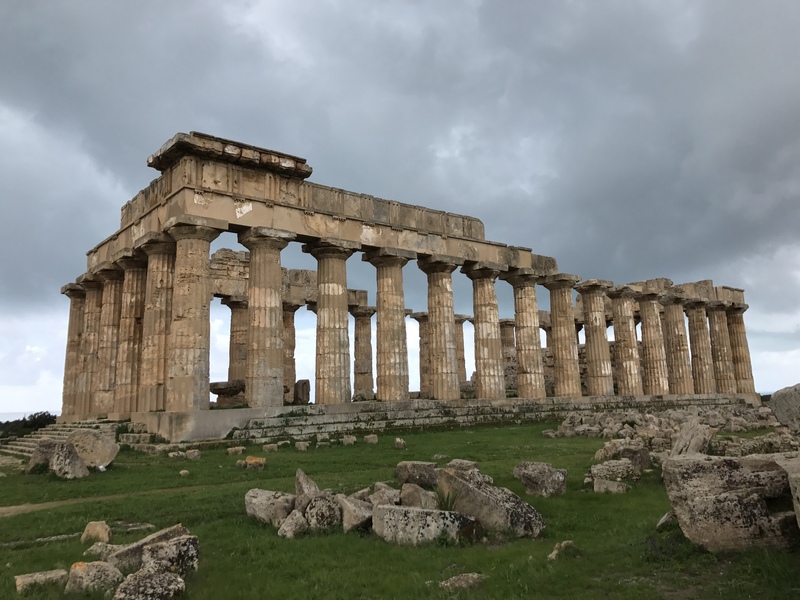 It had great Ancient architectural sites, superb examples of Sicilian baroque architecture, beautiful works of art by Caravaggio and Antonello da Messsina and gorgeous views of the ocean! 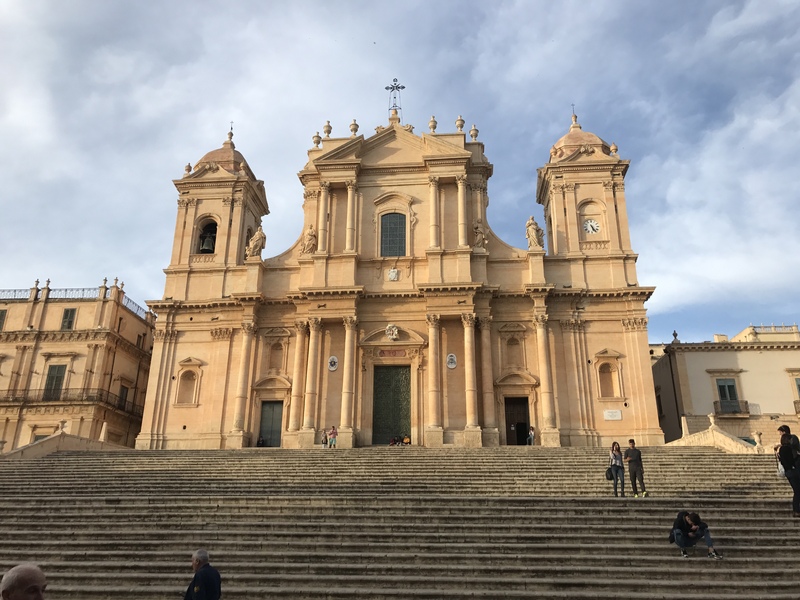 Towards the end of the 6th day, we visited the small city of Noto. We saw a beautiful example of baroque architecture with the city’s Cathedral. 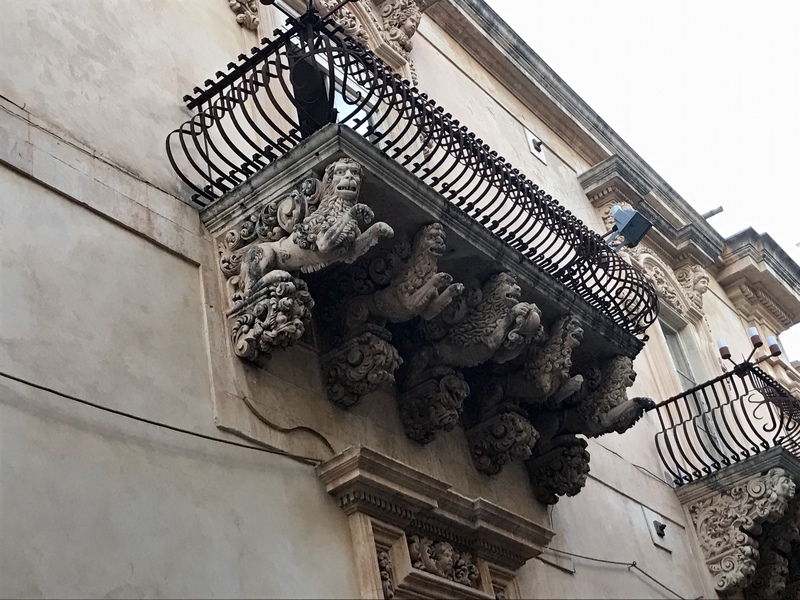 As we walked through the city, the professors pointed out the decorated balconies of the Villadorata palace — I found the lion sculptures particularly charming! 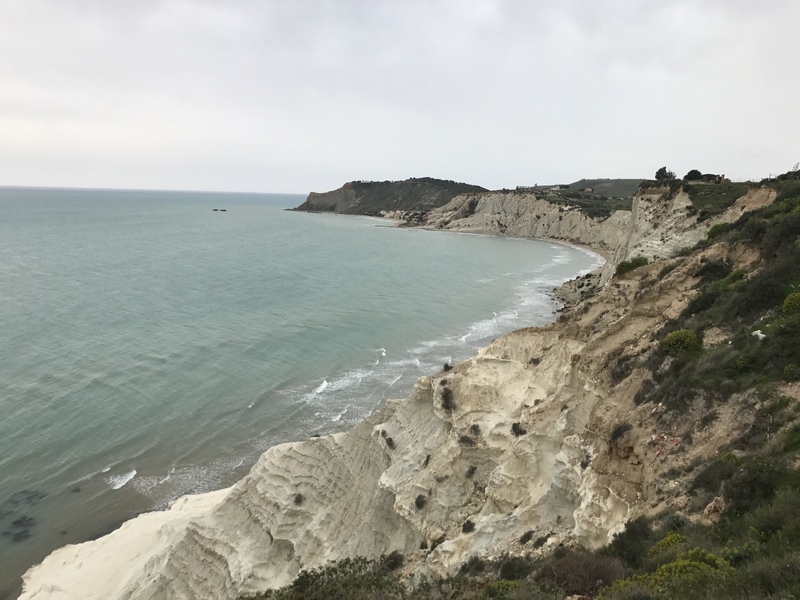 In Realmonte, we stopped to visit the Scala dei Turchi. Perched atop a cliff, we all admired the scintillating blue ocean and dazzling white rocks. It was truly an awe inspiring and unforgettable seascape. 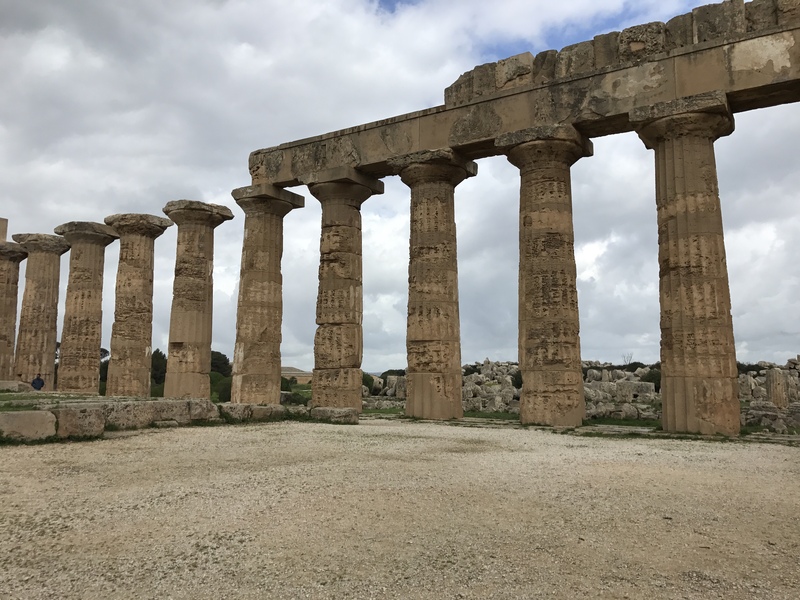 After spending a night in Erice, we drove to Selinunte to visit the ruins of Ancient temples. The temples were set in a beautiful field overlooking the ocean. It was an incredible experience to walk inside a temple and be surrounded by these monumental pillars.